It's no secret that fatty and oily fish are major sources of beneficial omega-3s. If your daily diet doesn't consist of enough fish, you may not be getting the recommended daily value of omega-3s for optimal overall health. Integrative Therapeutics has a supplement that can help address that. 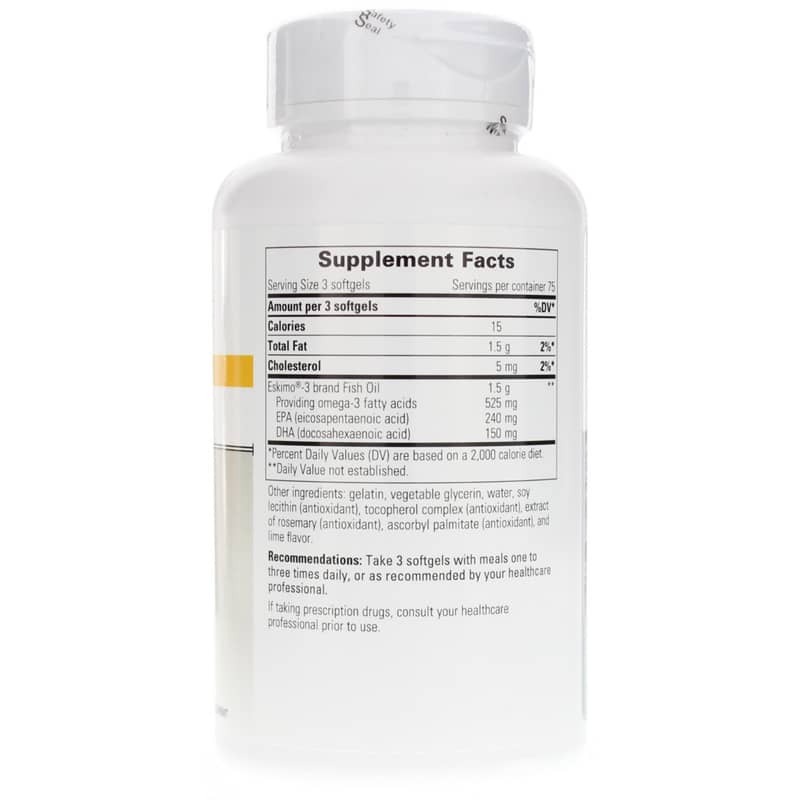 Eskimo-3 Natural Stable Fish Oil supports optimal overall health with fish oil that may be 50 times more pure than other fish oils available today. It's continuously tested to be completely free of dangerous levels of environmental toxins such as PCBs, dioxins, and other toxins. There is no unpleasant fishy aftertaste with Eskimo-3, and it's completely free from artificial coloring and flavoring, as well as the most common food allergens. Start improving your overall health today. 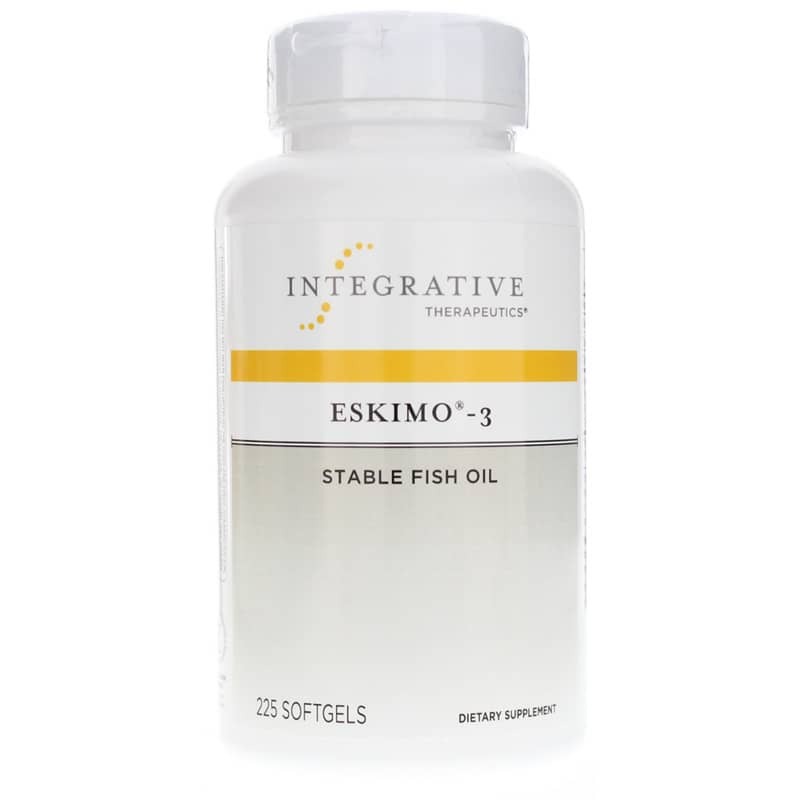 Try Eskimo-3 Natural Stable Fish Oil from Integrative Therapeutics today for improved joint and skin health and maximum support for healthy cholesterol levels. Order now. Other Ingredients: gelatin, vegetable glycerin, water, soy lecithin (antioxidant), tocopherol complex (antioxidant), extract of rosemary (antioxidant), ascorbyl palmitate (antioxidant) and lime flavor. Contains No: sugar, salt, yeast, wheat, gluten, corn, dairy products, artificial coloring. 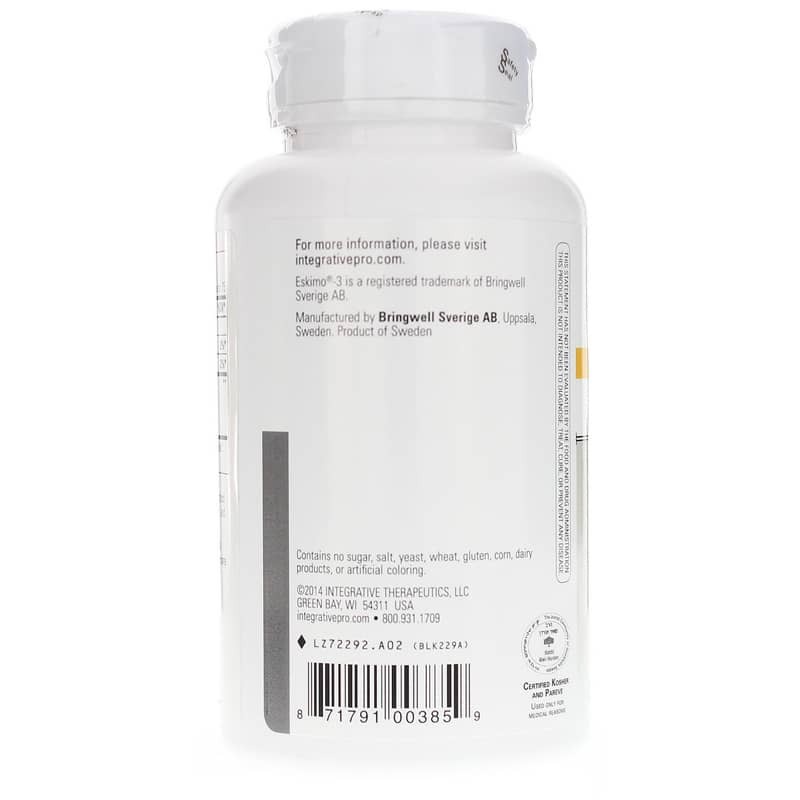 Adults: Take 3 softgels with meals one to three times daily. Eskimo-3 is a great buy. I highly recommend it. Great product. My only wish is that they came in a glass bottle instead of plastic. Good fish oil recommended by my doctor. I've been taking this product for several years!! I especially like the fact that there is no "fishy" smell or taste!!! Every time I order it's always a smooth operation! !